The Member States of the Council of Europe and the European institutions and bodies will celebrate European Data Protection Day for the fifth time. This date marks the anniversary of the Council of Europe's Convention 108 on the protection of personal data, the first legally binding international instrument related to the field of data protection. The event will give the EDPS and Data Protection Officers the opportunity to focus on raising awareness among EU staff of their rights and obligations regarding data protection - these rights and obligations are set out in the EU Data Protection Regulation , the implementation of which is supervised by the EDPS. Visitors will be invited to participate to a quiz on data protection in the European administration. Within the correct answers, a prize draw will award 20 secure USB keys. A video message of Peter Hustinx, EDPS, and Giovanni Buttarelli, Assistant Supervisor, outlining the main priorities and developments in the field of data portection in 2011 has been circulated to EU staff members and made available on the Videos page of the website. 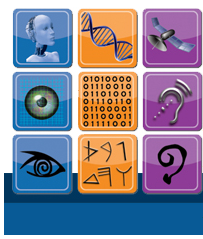 The EDPS will also participate to a serie of events, including the three-day annual Conference "Computers, Privacy & Data Protection" ("CPDP 2011") organised by academics from all over Europe, and a celebration event jointly organised by the European Commission and the Council of Europe in Brussels. 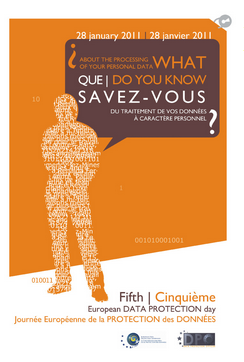 Please find below the data protection quiz with the 6 right answers. The 32nd Annual Conference of Data Protection and Privacy Commissioners will take place on 27-29 October 2010 in Jerusalem. The title of the conference is “Privacy: Generations”. It refers to a new generation of technologies (like mobile devices, biometrics, RFID and cloud computing) and to a new generation of users posting personal information and communicating with friends and colleagues on social networks. This may in turn require a new generation of governance relating to privacy issues. The programme reflects this focus on new issues and includes many of the subjects that are currently being widely discussed, such as privacy by design, accountability, behavioural targeting and the right to oblivion. The list of distinguished speakers includes three representatives of the EDPS: Peter Hustinx, Giovanni Buttarelli and Rosa Barcelo. The activities in Jerusalem will start on 26 October with an event organised by the Organisation for Economic Cooperation and Development (OECD) marking the 30th anniversary of the OECD Privacy Guidelines. This biennial event has become a unique gathering point for researchers, business people, investors, and high level policy makers in the field of digital innovation. 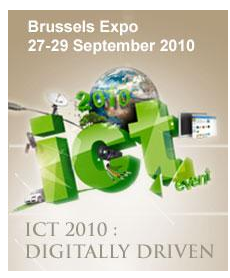 ICT 2010 will focus on policy priorities such as Europe's Digital Agenda and the 2011-2012 financial programme (€2.8 billion) of the European Union for funding research and innovation in ICT. Come and join the EDPS at the Commission stand. The seminar will familiarise the participants with the various aspects of “openness and transparency and data protection” in the EU. The sessions will focus on selected aspects of particular relevance: the EU transparency initiative, public access to documents, treatment of sensitive data as well as the role of the Member States. More information on EIPA's website. What kind of technology for the collection, analysis and exchange of data will be necessary to achieve effective law-enforcement? How can these needs be accommodated under the "EU information exchange model"? What is the future of EU-US data exchange after the controversy over SWIFT, also with a view to the exchange of Passenger Name Records and the general agreement on data protection? What is the impact of the ECJ decision on the independence of data protection authorities in Germany? What considerations from the judgment of the Bundesverfassungsgericht on data retention are relevant for data protection in all Member States? How does data exchange under the 'Prüm' mechanism work in practice? How will the EU legal framework for data protection evolve under the Lisbon Treaty? More information on ERA's website. The European Data Protection Supervisor (EDPS), in cooperation with the European University Institute (EUI), will organise the third Data Protection Workshop on International Organisations on 27 and 28 May 2010 at Theatre, Badia Fiesolana, European University Institute in Florence, Italy. This workshop, bringing together various international organisations as well as professors in a separate academic session, aims to tackle some of the pervasive issues concerning privacy and data protection that exist today. On Saturday from 11.00 am to 03.00 pm, the staff of the European Data Protection Supervisor (EDPS) welcomed visitors at their information stand in the EP Parliament (ASP Building, Main Street). At the EDPS information stand the visitors were invited to participate to a quiz on data protection issues. 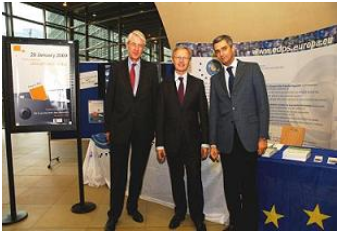 The event was organised in the framework of the Open Day of the European institutions. Within the correct answers, a random draw has awarded 10 secure USB keys to the winners. Below is the quiz with the correct answers. The conference on "Computers, Privacy and Data Protection – CPDP 2010" aims to create a bridge between policymakers, academics, practitioners and activists, exchange ideas and discuss emerging issues of information technology, privacy, data protection and law. This year’s conference theme is "An Element of Choice" as a reference to the many options open for data protection policy. Members of the EDPS secretariat have taken part to panel discussions. Peter Hustinx has provided the concluding notes to the conference. 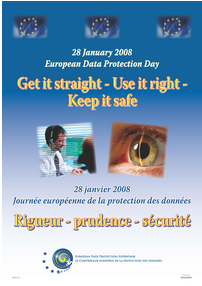 The Member States of the Council of Europe and the European institutions and bodies celebrated the European Data Protection Day for the fourth time on 28 January 2010. This date marks the anniversary of the Council of Europe's Convention 108 on the protection of personal data, the first legally binding international instrument related to the field of data protection. The event gives the EDPS and Data Protection Officers the opportunity to focus on raising awareness among the EU staff about their rights and obligations regarding data protection - these rights and obligations are set out in the Data Protection Regulation, the implementation of which is supervised by the EDPS. Visitors were invited to participate to a quiz concerning data protection. Within the correct answers, a lottery awarded 10 USB keys. You will find the quiz below with the correct answers. Peter Hustinx also spoke at a lunchtime debate entitled "Privacy and data protection: how does it affect you?" on 28 January. The presentation was mainly aimed at staff members from the European Commission and took place in DG Admin (Guimard). "Think privacy" is a campaign initiated by European Schoolnet and Microsoft in view of Data Protection Day, celebrated every year on 28 January. This second edition of the campaign features a Europe-wide “Think Privacy” contest where 15 - 19 year olds are invited to create and submit a short "multi-media poster’" This year’s theme is “Privacy is a Human Right – treat it with care”. Winners were selected by an eminent jury and invited to spend three days in Brussels to attend a special Data Protection Day award ceremony on 28 January 2010 that was also framed by keynotes of prominent policy makers. 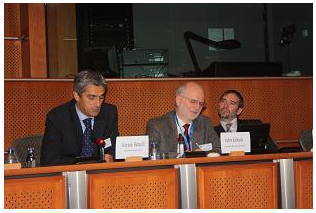 Peter Hustinx, EDPS, served as a member of the jury and provided the conclusions and closing remarks to the event. The ceremony has also served as an opening event for the Computers, Privacy and Data Protection Conference that took place over the next two days and went into more detail in terms of policy discussions. The European Data Protection Supervisor, Peter Hustinx, contributed to an international workshop on “Privacy by Design” on Monday 2 November 2009 in Madrid. The workshop was hosted by Dr. Ann Cavoukian, Information and Privacy Commissioner of Ontario, Canada, and Yoram Hacohen, head of the Israeli Law, Information and Technology Authority, as part of an international effort to promote “Privacy by Design” as a promising concept in an increasingly technology dependent world. The workshop took place just before the 31st International Conference of Data Protection and Privacy Commissioners (Madrid, 3-6 November 2009). The EDPS, together with the European Network and Information Security Agency (ENISA) hosted a seminar on "Responding to Data Breaches" in the European Parliament. gathering experience on data breach notification management from other sectors and from non-EU Member States. In the framework of the "Criminal Justice" Programme of the European Commission and in close cooperation with the Council of Europe, the University of Castilla-La Mancha organised the second edition of the Workshops on Data Protection in Criminal Proceedings. The main objective of the workshops was to facilitate the knowledge of the principles, rights and proceedings of data protection in the particular field of the criminal investigations against serious forms of crime. The EDPS is a partner of the "Data Protection in Criminal Proceedings – DPiCP Project". Peter Hustinx delivered the closing speech and Giovanni Buttarelli chaired two workshops sessions. 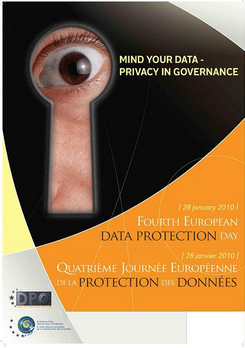 The EDPS published the first consultation draft of his video-surveillance guidelines on 7 July 2009. Data Protection Officers of the European institutions and bodies and other stakeholders were invited to comment on these guidelines by 15 September 2009. The EDPS held a workshop on 30 September with a view to elicit further feedback to improve the draft Guidelines and increase cooperation to ensure compliance with data protection principles. Giovanni Buttarelli participated to a public hearing organised by the European Economic and Social Committee on the "Impact of social networking websites". Chaired by Ms Brenda King, this event brought together more than 50 persons representing the industry, various stakeholders' associations and NGOs, the European Economic and Social Committee (EESC), the Committee of the Regions (CoR), the European Data Protection Supervisor (EDPS), the European Commission and other European Union institutions, in a lively debate on the pros and cons of social networking sites. On Saturday 9 May from 11.00 a.m. to 16.00, the staff of European Data Protection Supervisor (EDPS) welcomed visitors at their information stand in the EP Parliament (ASP Building, Main Street). The event was organised in the framework of the Open Day at the European Institutions. The Schumann roundabout hosted a large number of different activities. The visitors were invited to participate to a quiz concerning data protection. Within the correct answers, a lottery awarded 20 USB keys. You will find the quiz below with the correct answers. The Member States of the Council of Europe, as well as the European institutions and bodies celebrated Data Protection Day for the third time. To mark the event, just as the two previous years, the EDPS held an information stand on three consecutive days in the European Commission (26 January), the Council (27 January) and the European Parliament (28 January). The event gave the EDPS and Data Protection Officers the opportunity to focus on raising awareness among the EU staff about their rights and obligations regarding data protection. A number of communication tools, multimedia material and information brochures have been made available as a support. A quiz on both the EDPS and Data Protection Officers' respective roles was also made available on the spot. A random draw determined the winners of USB keys. To celebrate Data Protection Day on 28 January 2009, European Schoolnet has launched a video competition, targeting young people from 15 to 19 years old, to encourage reflection on privacy and data protection. Participants were invited to express their thoughts and concerns about the use of their personal information in a 30-90 second video on the theme “Surf the internet – think Privacy” and to upload it before the 20 January 2009. Representatives from winning teams were invited in Brussels to attend the Data Protection Ceremony on 28 January 2009 at the European Parliament. The European Data Protection Supervisor, Peter Hustinx, took part to this event by serving as a member of the jury and providing his conclusions and closing remarks in connection with the panel discussion at the event. The Data Protection Competition was organised by European Schoolnet (www.eun.org) with the support of Microsoft. 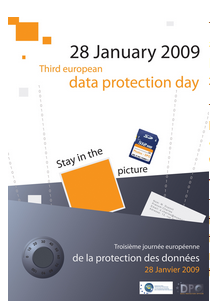 The Member States of the Council of Europe and the European institutions will celebrate Data Protection Day for the second time on 28 January 2008. This date marks the anniversary of the Council of Europe's Convention 108, the first legally binding international instrument related to data protection. The Council of Europe's website provides for a page dedicated to the event from which you can access - via the country flags list - the various initiatives that have been or will be undertaken across Europe to commemorate Europe’s second Data Protection Day. The EDPS is taking part in these activities. The event will give the EDPS the opportunity to focus on raising awareness among MEPs and EU staff about their rights and obligations regarding data protection. A one-day information stand will be set up in the European Parliament, the European Commission, and the Council premises. The EDPS will outline his supervisory, consultative and cooperative roles, as well as his achievements and current activities. A number of communication tools and multimedia material will be used as a support. A quiz will also be made available on the spot as well as on the EDPS website. Peter Hustinx speaks about global privacy standards and his proposals to reform the EU data protection regime. Introduction by Andrea Renda from the Brussels think tank the Centre for European Policy Studies (CEPS) (CEPS-Google panel discussion "Online Privacy: Reconsidering Policy Options for the Digital Age" on 10 October 2007 in Brussels, Belgium). Peter Hustinx comments on the speeches by Peter Fleischer and Alexander Alvaro (at CEPS-Google panel discussion "Online Privacy: Reconsidering Policy Options for the Digital Age" on 10 October 2007 in Brussels, Belgium). The visitors of our stand in the Institutions on 28, 29 and 30 January were invited to participate to a quiz concerning data protection in the EU institutions and bodies. Within the correct answers, there was a lottery for USB key gifts (10 USB keys were awarded).